One Savvy Mom ™ | NYC Area Mom Blog: Ready For An Epic Family Movie Night? Win A #EpicTheMovie Prize Pack w/ Visa Gift Card! I had a blast at the Epic Premiere last weekend - Aziz Ansari and Chris O'Dowd [the voices of Epic's comedic duo, Mub and Grub ] are hilarious! 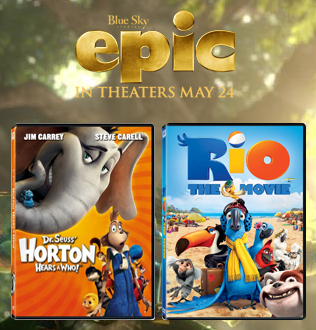 Epic truly is a film that the entire family can enjoy, so why not make a night of it? 20th Century Fox is kindly offering (1) One Savvy Mom reader a prize pack which includes a $25 Visa Gift Card and a Blue Sky Studios DVD set ( Rio and Dr. Seuss' Horton Hears A Who). With the long Memorial Day holiday weekend ahead, it's the perfect time to head to the movies with the family! 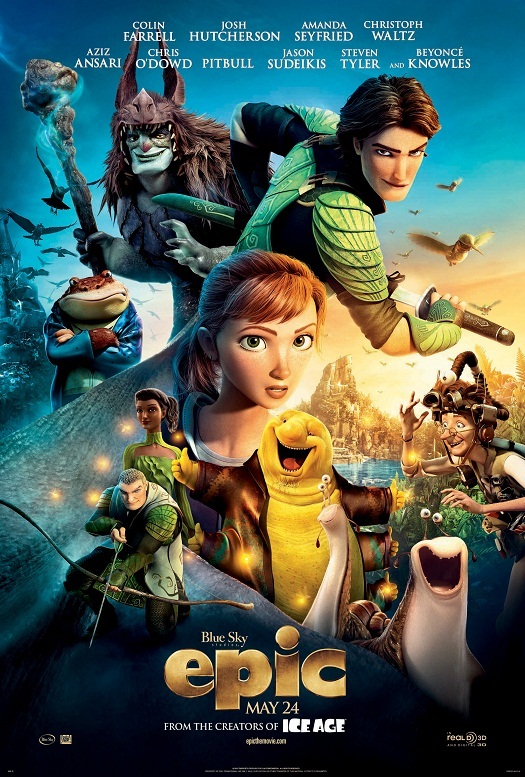 This 3D CG adventure from the creators of ICE AGE and RIO, EPIC tells the story of an ongoing battle between the forces of good, who keep the natural world alive, and the forces of evil, who wish to destroy it. When a teenage girl finds herself magically transported into this secret universe, she teams up with an elite band of warriors and a crew of comical, larger-than-life figures, to save their world…and ours. I am planning to take my friends little brother. We are planning on taking both our kids to see this movie. I'd like to take my niece. I would take my son Nick with! We just took our son to see this movie yesterday it was great. My two little ones would enjoy this movie! I would like to take my kids to see the movie. I would like to take my daughter to see this, she would love it!